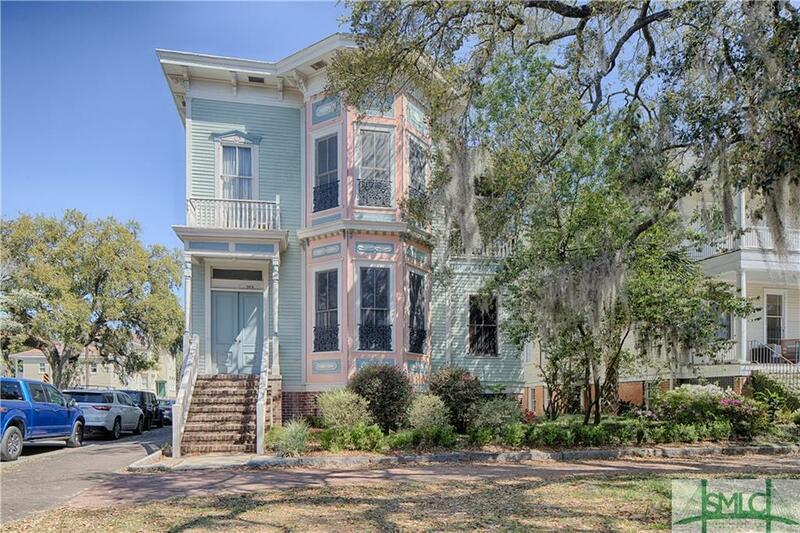 c.1884 Unique Victorian Manor Home 3 blocks to Forsyth Park on a brick paved street. Although modified, most of the original details are still present. 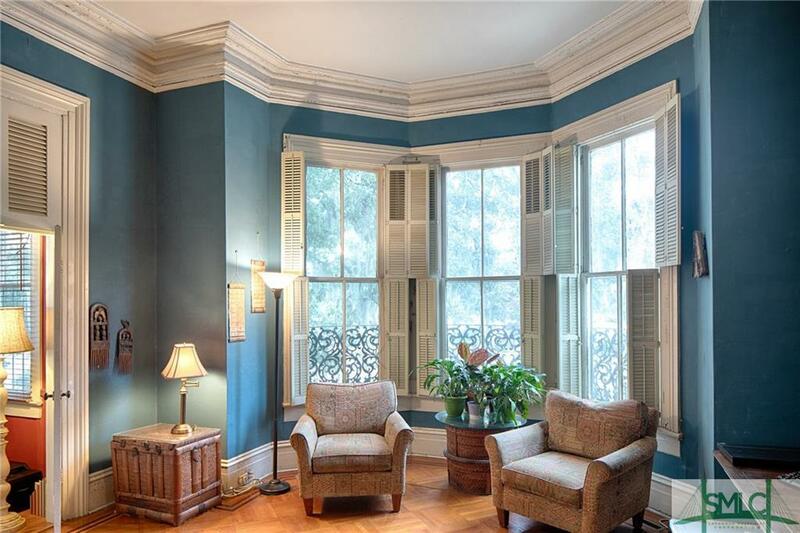 14' ceilings, hardwood floors, gorgeous moldings, orig. stair railing, 7 FP, walk out working windows. The courtyard is very private and spacious. 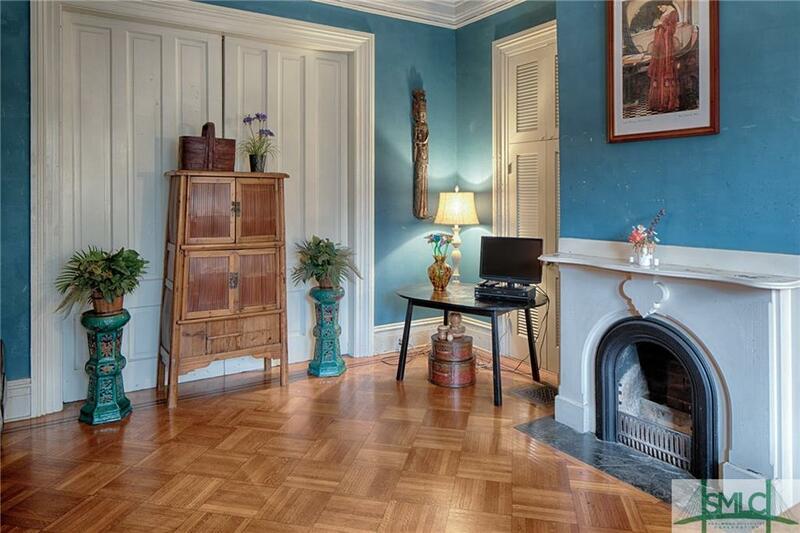 Currently used for short term rentals, this property has been divided into 4 units. 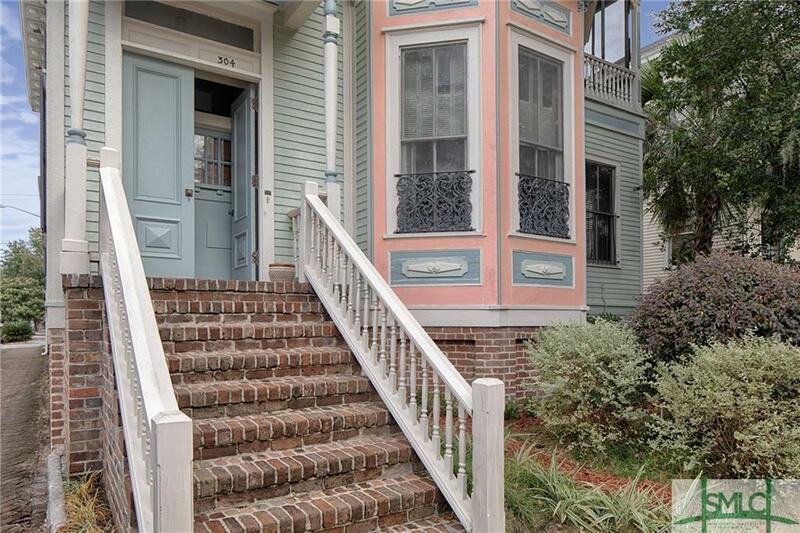 The main floor has 2 bedrooms, 1 ba, dining rm, sunporch; 2nd Fl has 2-3 bedrooms, 2 porches 2 full ba, kit; Off the courtyard: 1 studio apt; a 2 bed/1ba apt. There is an existing elevator. 2-3 car garage. (2 bays & 1 Storage bay). A great opportunity for restoration or develop into income property. Listing courtesy of Liza Dimarco of Cora Bett Thomas Realty. © 2019 Savannah Multi-List Corporation. All rights reserved.